N.Igarashi, H.Moriyama, T.Fujiwara, Y.Fukumori and N.Tanaka. 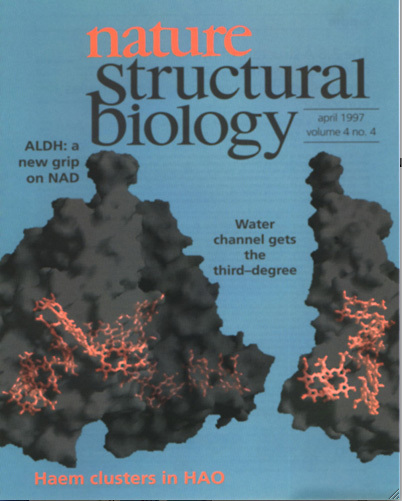 Nature structural biology. (1997) 4:276-284. 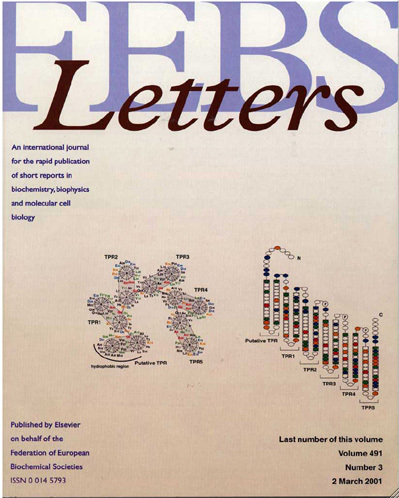 FEBS Letters. (2001) 491:169-173. DOI: 10.1016/S0014-5793(01)02178-0. Y.Sasayama, M.Matada, Y.Fukumori, M.Umebayashi, A.Matsuno, T.Nakagawa and M.Imajima. Zoological Science. (2003) 20:1411-1416. DOI: 10.2108/zsj.20.1411. 蛋白質　核酸　酵素 (2008) vol.53 No.13，p1746 - p1751. Characterization of uncultured giant rod-shaped magnetotactic Gammaproteobacteria from a freshwater pond in Kanazawa, Japan. Taoka A, Kondo J, Oestreicher Z, Fukumori Y.
Microbiology-SGM. (2014) 160:2226-2234. DOI: 10.1099/mic.0.078717-0. Structure and function of aligned magnetic crystals in magnetotactic bacteria. Measuring magnetosomal pH of the magnetotactic bacterium Magnetospirillum magneticum AMB-1 using pH-sensitive fluorescent proteins. Eguchi Y, Fukumori Y, Taoka A.
Biosci Biotechnol Biochem. (2018)82:1243-1251 DOI: 10.1080/09168451.2018.1451739. Begum, A., Chiba, R., Ishijima, T. Kakikawa, M., Taoka , A., Pervez, M. R., Innomata, T., Uesugi, Y., Tanaka Y.
EEE Transactions on Radiation and Plasma Medical Sciences, (2018)2:360-368. DOI: 10.1109/TRPMS.2018.2829176. Tethered Magnets Are the Key to Magnetotaxis: Direct Observations of Magnetospirillum magneticum AMB-1 Show that MamK Distributes Magnetosome Organelles Equally to Daughter Cells. Taoka A, Kiyokawa A, Uesugi C, Kikuchi Y, Oestreicher Z, Morii K, Eguchi Y, Fukumori Y.
mBio. (2017) 8(4). pii: e00679-17. DOI: 10.1128/mBio.00679-17. High-Speed Atomic Force Microscopy Reveals Loss of Nuclear Pore Resilience as a Dying Code in Colorectal Cancer Cells. Mohamed MS, Kobayashi A, Taoka A, Watanabe-Nakayama T, Kikuchi Y, Hazawa M, Minamoto T, Fukumori Y, Kodera N, Uchihashi T, Ando T, Wong RW. ACS Nano. (2017) 11(6):5567-5578. DOI: 10.1021/acsnano.7b00906. A protein-protein interaction in magnetosomes: TPR protein MamA interacts with an Mms6 protein. Nguyen HV, Suzuki E, Oestreicher Z, Minamide H, Endoh H, Fukumori Y, Taoka A.
Biochem Biophys Rep. (2016) DOI: 10.1016/j.bbrep.2016.05.010. A comparison of the surface nanostructure from two different types of gram-negative cells: Escherichia coli and Rhodobacter sphaeroides. Oestreicher Z, Taoka A, Fukumori Y.
Micron. (2015) 72:8-14. DOI: 10.1016/j.micron.2015.02.001. A magnetosome-associated cytochrome MamP is critical for magnetite crystal growth during the exponential growth phase. Taoka A, Eguchi Y, Mise S, Oestreicher Z, Uno F, Fukumori Y.
FEMS Microbiol Lett. (2014) 358:21-29. DOI: 10.1111/1574-6968.12541. The structure of a deoxygenated 400 kDa haemoglobin reveals ternary- and quaternary-structural changes of giant haemoglobins. Numoto N, Nakagawa T, Ohara R, Hasegawa T, Kita A, Yoshida T, Maruyama T, Imai K, Fukumori Y, Miki K.
Acta Crystallogr D Biol Crystallogr. (2014) 70(Pt 7):1823-1831. DOI: 10.1107/S1399004714008475. Purification, characterization, and crystallization of Crocodylus siamensis hemoglobin. Jandaruang J, Siritapetawee J, Songsiriritthigul C, Preecharram S, Taoka A, Dhiravisit A, Fukumori Y, Thammasirirak S.
Protein J. (2014) 33(4):377-385. DOI: 10.1007/s10930-014-9569-7. DnaJ-promoted binding of DnaK to multiple sites on σ32 in the presence of ATP. Noguchi A, Ikeda A, Mezaki M, Fukumori Y, Kanemori M.
J Bacteriol. (2014) 196(9):1694-1703. DOI: 10.1128/JB.01197-13. Structures of reduced and ligand-bound nitric oxide reductase provide insights into functional differences in respiratory enzymes. Sato N, Ishii S, Sugimoto H, Hino T, Fukumori Y, Sako Y, Shiro Y, Tosha T.
Proteins. (2014) 82(7):1258-1271. DOI: 10.1002/prot.24492. Purification and characterization of coacervate-forming cuticular proteins from Papilio xuthus pupae. Yamanaka M, Ishizaki Y, Nakagawa T, Taoka A, Fukumori Y.
Zoolog Sci. (2013) 30(7):534-542. DOI: 10.2108/zsj.30.534. Analysis of magnetotactic behavior by swimming assay. Sakaguchi S, Taoka A, Fukumori Y.
Biosci Biotechnol Biochem. (2013) 77(5):940-947. DOI: 10.1271/bbb.120880. Single-molecule imaging on living bacterial cell surface by high-speed AFM. Yamashita H, Taoka A, Uchihashi T, Asano T, Ando T, Fukumori Y.
J Mol Biol. (2012) 422(2):300-309. DOI: 10.1016/j.jmb.2012.05.018. Synergistic binding of DnaJ and DnaK chaperones to heat shock transcription factor σ32 ensures its characteristic high metabolic instability: implications for heat shock protein 70 (Hsp70)-Hsp40 mode of function. Suzuki H, Ikeda A, Tsuchimoto S, Adachi K, Noguchi A, Fukumori Y, Kanemori M.
J Biol Chem. (2012) 287(23):19275-19283. DOI: 10.1074/jbc.M111.331470. Hino T, Matsumoto Y, Nagano S, Sugimoto H, Fukumori Y, Murata T, Iwata S, Shiro Y. Science. (2010) 330:1666-1670. DOI: 10.1126/science.1195591. Visualization and structural analysis of the bacterial magnetic organelle magnetosome using atomic force microscopy. Yamamoto, D., Taoka, A., Uchihashi, T., Sasaki, H., Watanabe, H., Ando, T., and Fukumori, Y.
Proc Natl Acad Sci U S A. (2010) 107(20), 9382-9387. DOI: 10.1073/pnas.1001870107. Structural Basis for the Heterotropic and Homotropic Interactions of Invertebrate Giant Hemoglobin. Numoto, N., Nakagawa, T., Kita, A, Sasayama, Y., Fukumori, Y., and Miki, K.
Biochemistry. (2009) 47: 11231–11238. DOI: 10.1021/bi8012609. Identification of iron transporters expressed in the magnetotactic bacterium Magnetospirillum magnetotacticum. Taoka A, Umeyama C, and Fukumori Y.
Curr. Microbiol. (2009) 58: 177-181. DOI: 10.1007/s00284-008-9305-7. 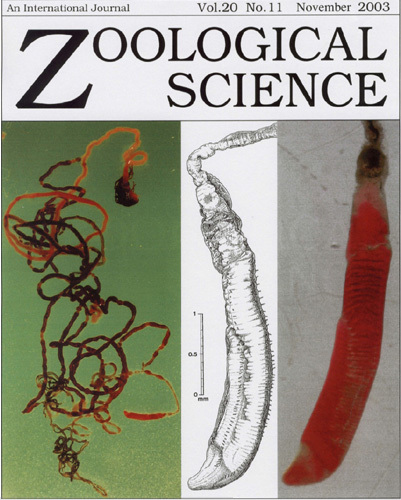 Distribution and population of free-living cells related to endosymbiont a harbored in Oligobrachia mashikoi (a Siboglinid Polychaete) inhabiting Tsukumo bay. Aida M, Kanemori M, Kubota N, Matada M, Sasayama Y, Fukumori Y. Microbes and Environments. (2008) 23: 81-88. DOI: 10.1007/s00284-008-9305-7. 日本血液代替物学会会誌「人工血液　Artificial Blood」 (2018) 16(4): 188-197. Structure of the partially unliganded met state of 400 kDa hemoglobin: insights into ligand-induced structural changes of giant hemoglobins. 蛋白質　核酸　酵素 (2008)　vol.53 No.13，p1719 - p1722. Polymerization of the Actin-Like Protein MamK, Which Is Associated with Magnetosomes. Taoka A, Asada R, Wu L-F, Fukumori Y.
J Bacteriol. (2007) 189(23): 8737-8740. DOI: 10.1128/JB.00899-07. Oxygenation Properties of Extracellular Giant Hemoglobin from Oligobrachia mashikoi. Yayoi Aki, Taro Nakagawa, Masako Nagai, Yuichi Sasayama, Yoshihiro Fukumori,Kiyohiro Imai. Biochem. Biophys. Res. Comm. (2007) 360:673-678. 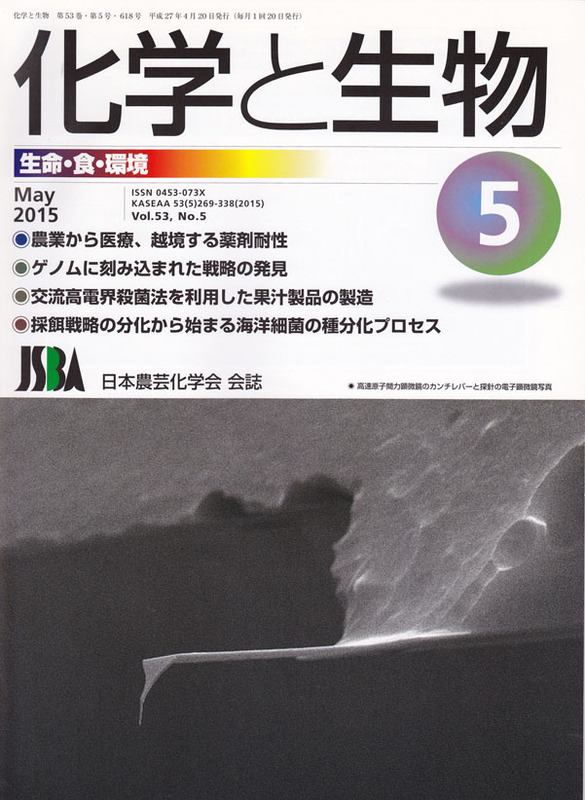 DOI: 10.1016/j.bbrc.2007.06.111. Kubota N, Kanemori M, Sasayama Y, Aida M, Fukumori Y. Microbes and Environments. (2007) 22(2):136-144. DOI: 10.1264/jsme2.22.136. Participation of nitric oxide reductase in survival of Pseudomonas aeruginosa in LPS-activated macrophages. Biochem. Biophys. Res. Comm. (2007) 355:587-591. DOI: 10.1016/j.bbrc.2007.02.017. Actual distribution of bacteriocytes in the trophosome of a beard worm (Oligobrachia mashikoi, Siboglinidae, Annelida): Clarification using whole-mount in situ hybridization. Deguchi, M, Kubota, N, Matsuno, A, Kanemori, M, Fukumori Y, Sasayama Y.
Acta Zoologica. (2007) 88:129-135. DOI: 10.1111/j.1463-6395.2007.00260.x. Mohamed Fahmy Gad El-Rab S,Abdel-Fattah Shoreit A,Fukumori Y.
Biosci Biotechnol Biochem. (2006) 70(10):2394-402. DOI: 10.1271/bbb.60122. Biogenesis of actin-like bacterial cytoskeletal filaments destined for positioning prokaryotic magnetic organelles. Pradel N, Santini CL, Bernadac A, Fukumori Y, Wu LF. Proc Natl Acad Sci U S A. (2006) 103(46):17485-17489. DOI: 10.1073/pnas.0603760103. Spatial localizations of Mam22 and Mam12 in the magnetosomes of Magnetospirillum magnetotacticum. Taoka, A., Asada, R., Sasaki, H., Anzawa, K., Wu, L.-F., Fukumori, Y.
J Bacteriol. (2006) 188(11):3805-3812. DOI: 10.1128/JB.00020-06. Structure of an extracellular giant hemoglobin of the gutless beard worm Oligobrachia mashikoi. Numoto N, Nakagawa T, Kita A, Sasayama Y, Fukumori Y, Miki K.
Proc Natl Acad Sci U S A. (2005) 102(41):14521-14526. DOI: 10.1073/pnas.0501541102. T. Nakagawa, S. Onoda, M. Kanemori, Y. Sasayama and Y. Fukumori. Zoological Science. (2005) 22, 283-291. DOI: 10.2108/zsj.22.283. M. Horikoshi, T. Yura, S. Tsuchimoto, Y. Fukumori and M. Kanemori. J Bacteriol. (2004) 186:7474-80. DOI: 10.1128/JB.186.22.7474-7480.2004. “Biomineralization” (E.Baeuerlein ed.) WILEY-VCH. p75-90. H. Kumita, K. Matsuura, T. Hino, S. Takahashi, H. Hori ,Y. Fukumori, I. Morishima, and Y. Shiro. J.Biol.Chem. (2004) 279, 55247-55254. DOI: 10.1074/jbc.M409996200. Taoka, A., Yoshimatsu, K., Kanemori, M., Fukumori, Y. Can. J. Microbiol. (2003) 49:197-206. DOI: 10.1139/w03-028. H. Kato, M.Okamoto, K. Yamashita, Y.Nakamura, Y.Fukumori, K Nakai and H.Kaneko. H. Kato, M. Hayashi, Y.Fukumori, H. Kaneko. Heme-copper oxidase family structure of Magnetospirillum magnetotacticum 'cytochrome a1'-like hemoprotein without cytochrome c oxidase activity. J Inorg Biochem. (2000) 82:73-78. Noguchi Y, Fujiwara T, Yoshimatsu K, Fukumori Y.
J Bacteriol. (1999) 181: 2142-2147. Cloning and sequencing of a gene encoding a new member of the tetratricopeptide protein family from magnetosomes of Magnetospirillum magnetotacticum. Okuda Y, K Denda, Fukumori Y.
Nitrite reductase from the magnetotactic bacterium Magnetospirillum magnetotacticum. A novel cytochrome cd1 with Fe(II):nitrite oxidoreductase activity. Yamazaki T, Oyanagi H, Fujiwara T, Fukumori Y.
Eur J Biochem. (1995) 233: 665-671. Purification, and some molecular and enzymatic features of a novel ccb-type cytochrome c oxidase from a microaerobic denitrifier, Magnetospirillum magnetotacticum. FEBS Lett. (1994) 347: 22-26. Purification and properties of a 'cytochrome a1'-like hemoprotein from a magnetotactic bacterium, Aquaspirillum magnetotacticum. 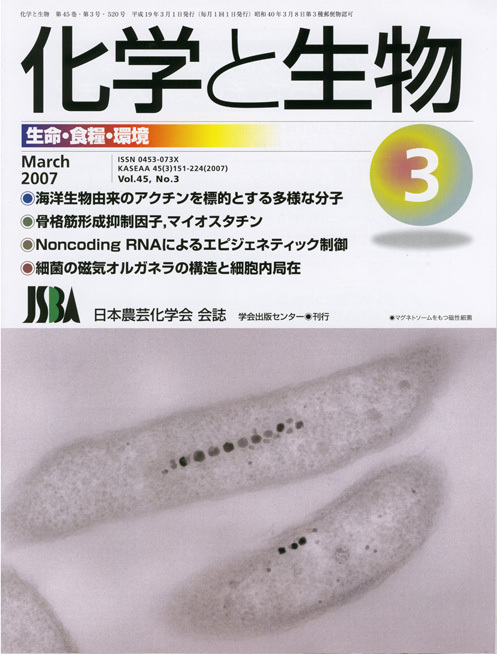 Tamegai H, Yamanaka T, Fukumori Y.
Biochim Biophys Acta. (1993) 1158:237-243. Oxygen concentration-dependent induction of a 140-kDa protein in magnetic bacterium Magnetospirillum magnetotacticum MS-1. 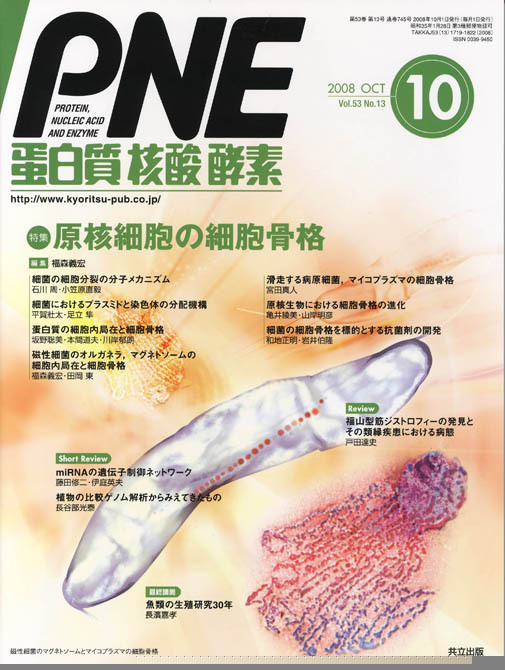 Sakaguchi H, Hagiwara H, Fukumori Y, Tamaura Y, Funaki M, Hirose S.
FEMS Microbiol Lett. (1993) 107:169-174.
copyright © Biomolecular Physiology Laboratory Kanazawa Univ.